SIG Performance Technology has signed an exclusive agreement to bring to market the revolutionary InnoGain – a new range of patented products which provides a cost effective, efficient and sustainable alternative to making through and anchor holes in concrete – and fundamentally removes the need for drilling on-site. Launched to the UK and Ireland on 17thOctober 2018, the distribution deal will see SIG Performance Technology provide access to an initial range of seven hole makers designed for a range of common concrete applications in construction. Suitable for use on-site and in pre-cast manufacture, InnoGain is cast directly into concrete structures to produce holes which are precise in both depth and diameter. Manufactured to a specially formulated rubber composition, the elasticity of InnoGain makes the product easy to remove by hand once the concrete is cured – leaving a perfectly formed hole to an exact specification. Each InnoGain can typically be re-used up to 100 times after which point the product can be fully returned for supplier controlled recycling – making it an extremely environmentally friendly construction method. By pre-forming through and anchor holes directly into concrete and removing the need for drilling on-site, InnoGain delivers far reaching commercial and on-site benefits. Financially, when calculating the total cost of traditional labour time and materials as compared with InnoGain – the overall cost per hole is significantly reduced. From a health and safety perspective, InnoGain negates the dust challenges posed by manual drilling and virtually eradicates the risk of hand arm vibration syndrome. InnoGain also significantly raises quality standards, particularly with steel reinforced concrete, as the consistency of the bore holes is guaranteed. Supporting the sustainable agenda in construction, using InnoGain minimises the concrete waste generated on-site and also reduces the volume of concrete needed to form a structure. InnoGain will initially launch with a core range of seven products to create through, anchor and precision holes. The portfolio includes solutions for fixing to the outside of metal and timber formwork as well as profiled products which form holes for use with grout and chemical fixings. 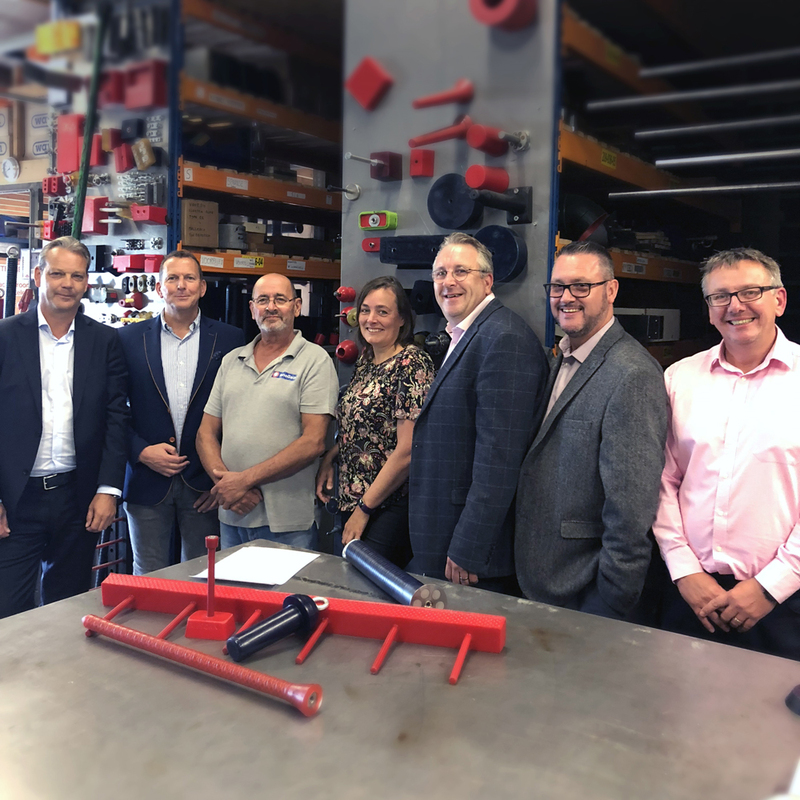 Developed in the Netherlands by Rob van Rijn, a revered engineer and inventor, SIG Performance Technology will be bringing the product to market in the UK and Ireland as part of the exclusive agreement. An innovation brought to market by Performance Technology.